I recently found some things I had been looking for, for quite some time that I was saving until winter time! Low and behold.. The mini haul.. The first item I picked up from Superdrug! I noticed how although I hardly touch my brows, this harsh weather and the winds do tend to mess up my brows a lot! 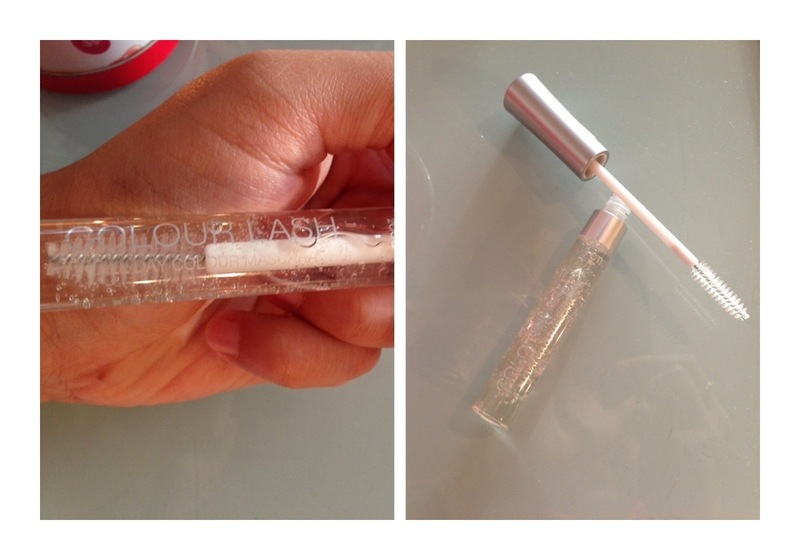 So I picked up this clear mascara from Collection 2000 which was £1.99! I tested it out and it lasted fantastically and my brows never moved an inch! I then saw the Maybelline gel eye liner lying there all by itself so grabbed it! 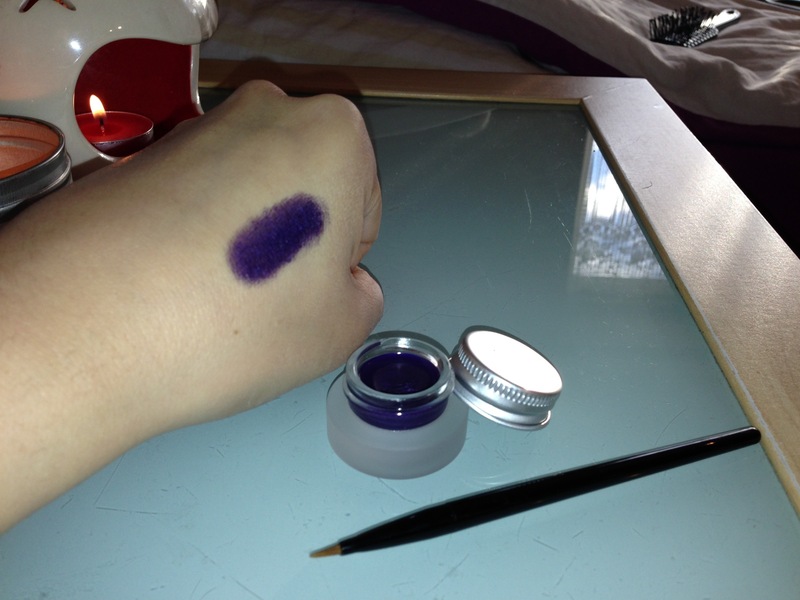 It’s in the colour ‘ultra violet’ and is a lovely deep purple colour! I love these gel eye liners because they’re affordable, last ages and look fantastic! I’m so glad I finally got hold of the purple because I’ve been wanting it for a while! It also comes with a lovely brush which I find easy to use. The next item I got on a whim, was this ‘Sleek blush by 3’ palette! 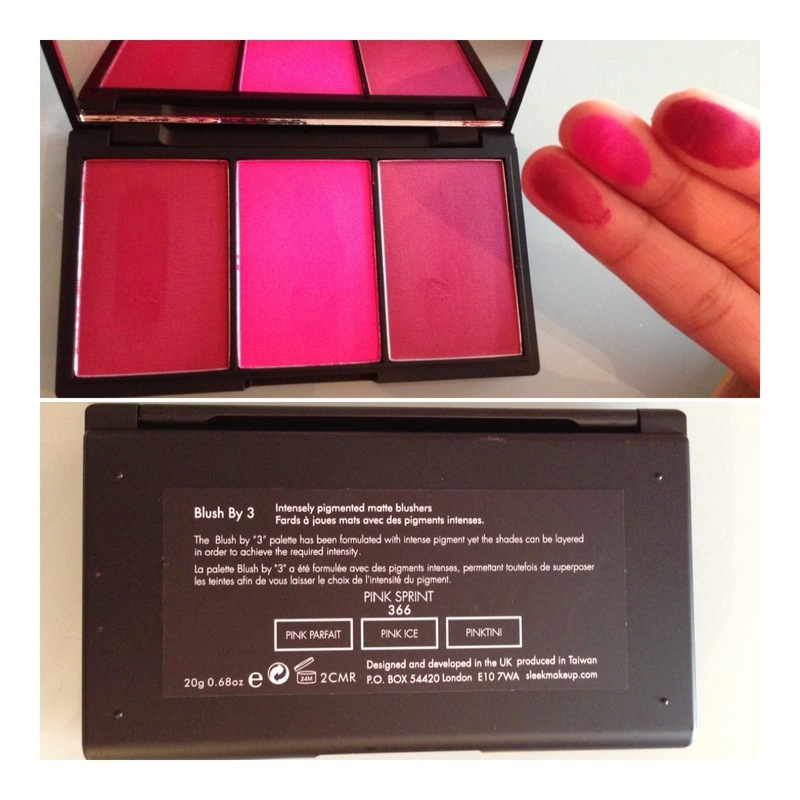 It consists of three shades of blushes that you can use lightly, heavily or even blend to create a new shade! I love it! I mentioned in a few posts that I’m loving purple shades at the moment so when I saw this blush which had deep plums as well as a beautiful pop of bright pink, I grabbed it! It’s excellent value for money too! I then saw Zoella from Zoella280390 talk about her love of MAC studio sculpt foundation! I’ve been looking for. 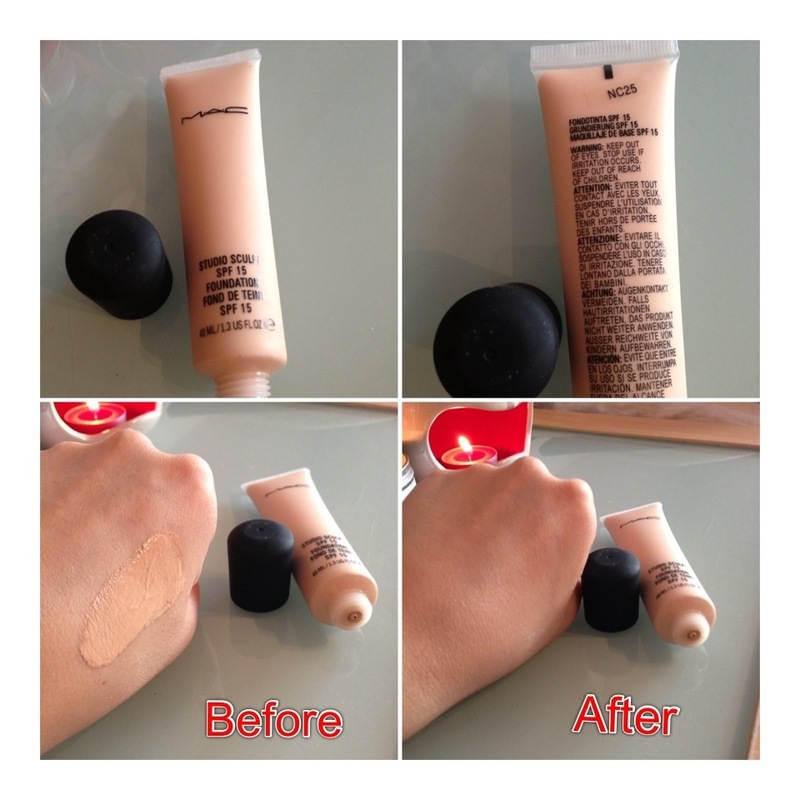 Good foundation for quite some time now and as soon as I tried this, fell in love with it! I got the shade NC25 which is a perfect colour match for me but I do have to mix NW25 of my studio fix to match the colour perfectly! Unlike the MatchMaster foundation, the coverage is heavy and not build able. It cannot be sheered down either but for what it does, it’s fantastic and lasts all day! I picked mind up from eBay but this retails for £25. 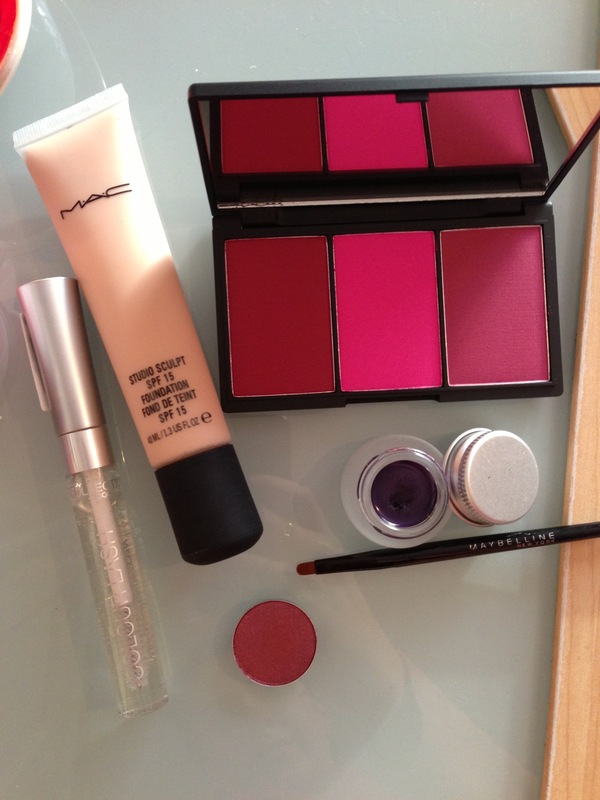 The last item is my favourite and comes in the form of MAC again! 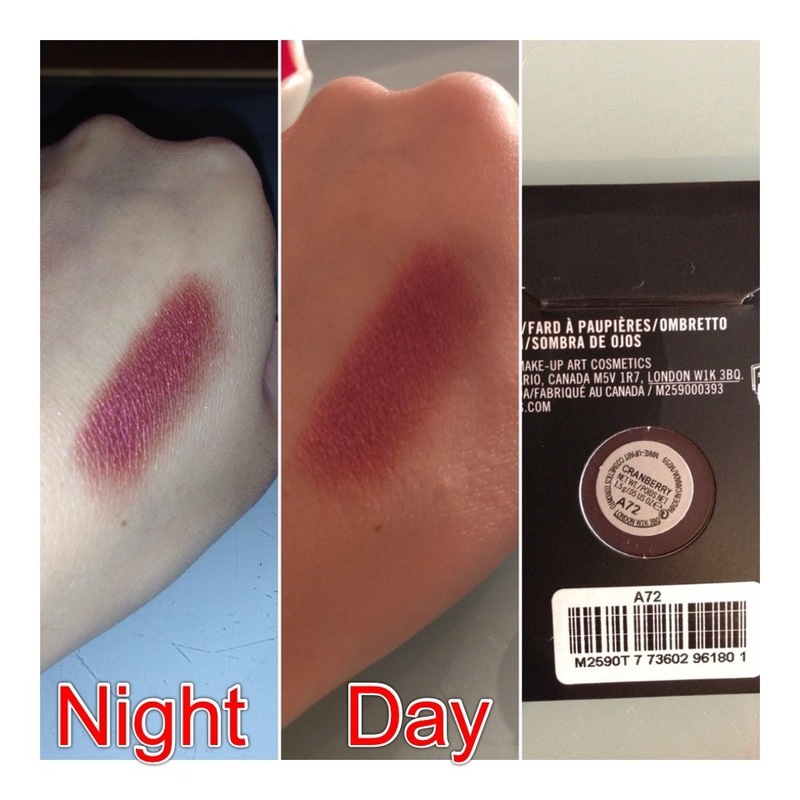 After I saw so much rave about this eye shadow I had to get it when I saw a sale on! 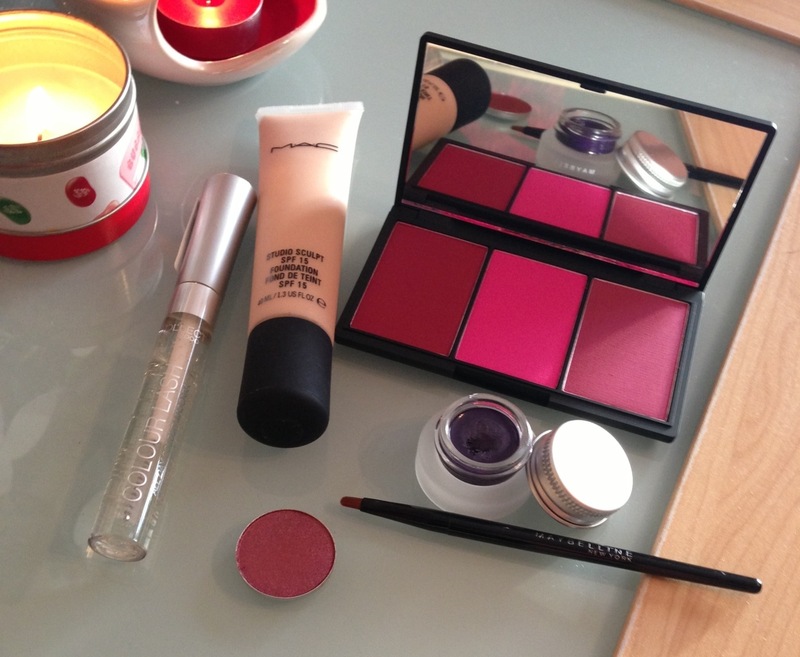 I had a voucher for Debenhams and they also had a sale on so got this MAC eyeshadow for £3! Cranberry is exactly the colour I’ve been looking for! As someone with green/brown eyes, I thought this would be a perfect colour to make my eyes pop! Perhaps a perfect colour for my wedding day.. Hmmmmmm..